Thailand is a perfect venue for a unified rural and modern urban living. Whether the preference is to commune with nature or to be visible at night parties in downtown Bangkok, chances are, these are all accessible for the adored expatriates. This perfect combination lured a multitude of retirees and other individuals who wants to enjoy the fruits of their years of hard work by staying in country for a long period of time. These qualities of Thailand continue to entice more and more foreigners each year. However, especially for property buyers like you, the country also has its downsides. Thailand has an unregulated real estate market. It also has a complicated property acquisition and registration system more so on foreigners who are not allowed to own lands on freehold except on condominiums. Upon reading the items above, you may think of enlisting the help of a Thai property lawyer but somehow you are being swayed by someone not to because according to them, lawyers are only there to hound you and siphon more and more money from you. This negative assumption is undeniable. Ineffective lawyering does exist in Thailand too. But, such reality is minute as the Kingdom hosts a large number of reputable and highly competent lawyers that you can choose from. Thus, hiring them for your mission on a safe, secure and satisfying property acquisition in the Kingdom is still the best option you will ever have. Many of these lawyers are multilingual, are fluent to both English and Thai therefore communicating with them and translating certain Thai terms are easier for you. Registered Thai property lawyers ensure that your rights as a foreign individual is upheld and protected through the services they offer such as: Contract Review and Revision, conducting Due Diligence and Title Search. Now, various sources may say that these are doable for simple property buyers. Surely, you can conduct them yourself. But the questions are: Do you know what to look for to verify the documents’ authenticity? Do you know the language? Do you have an ample idea of the whole process? Are you certain that the person or company you are dealing with is trustworthy and do not hold any liability? Have you ever heard of the different zoning regulations per locality? A property lawyer can do background checks way better than you can. He has the access to court records, has the knowhow on the process and has the nose to find the provisions that may be detrimental to your interests. These checks are not limited to the title of the property or the property itself only but also on the agent and developer too. These actions that your lawyer can do for you are all encompassing, that is, if you will allow and want him to. Yes, it is undeniable that involving a lawyer can be costly but this course of action is highly recommended and may only save you from future litigation proceedings for circumventing, bypassing or violating the prescribed real estate laws. In the long run, he will save you a lot of money because you are being prevented to indulge on something illegal or unfavorable to you because of an impulse buy. Thinking about enjoying the promise of Thailand by acquiring a property in the Kingdom? 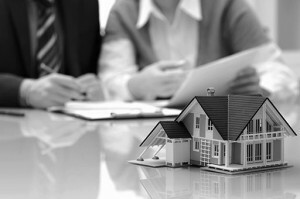 Contact a registered Thai property lawyer today. 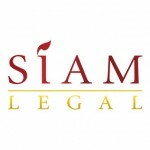 Siam Legal is a full service law firm in Bangkok Thailand with offices in Pattaya, Chang Mai, and Phuket. We also provide other legal services such as notary public services and certify documents for foreign citizens.